“Brush Naked started the moment a plastic toothbrush hit the bottom of a garbage can and we thought, “How many people are doing the same thing as us? 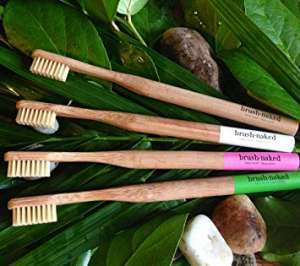 Throwing multiple plastic toothbrushes into landfills every year?” So we searched out some environmentally-friendly options and discovered that If we wanted to really reduce waste, we’d have to start something ourselves. If you would like to check them out in person before buying one, email us at reception@simpli.dental, give us a call at (306) 520-4473, or visit our dental clinic at 108 Victoria Avenue in Regina, SK.